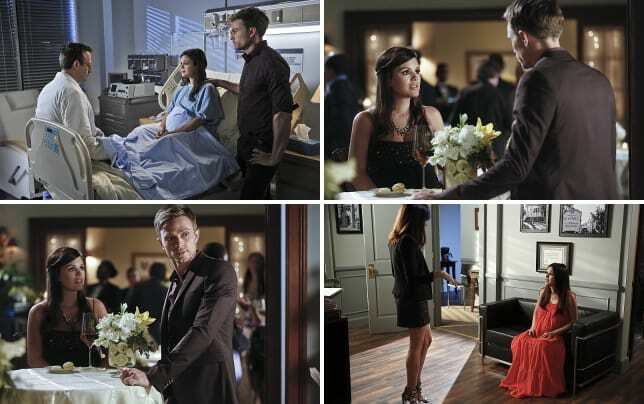 Hart of Dixie Finale Preview: Baby Coming! Zoe and Wade are about to meet their baby boy! However, Wade is determined to help Zoe out with a life-changing decision first. Will he be able to help her in time on Hart of Dixie Season 4 Episode 10? Hart of Dixie Photos from "Bluebell"
Zoe also has a run-in with guest star, Autumn Reeser. Who is she, and what impact will she have on Zoe and the town? Wade and Lemon look to be helping each other out in the episode. Could they be giving each other advice? Elsewhere in the finale, Lavon tries to make things right with Lemon after misleading her. George and Annabeth have a serious discussion about their future when they get frustrated by their current situation. It also appears there will be big party going on in the episode, as the whole town appears to have gathered for a good time. Tune into the season (series?!?) finale on Friday, March 27th. Don't worry if you need to catch up on the season before it ends, because you can watch Hart of Dixie online via TV Fanatic! Amanda Steinmetz was a staff writer for TV Fanatic. She went into retirement in June of 2027. Follow her on Twitter. Zoe, before I met you I didn't know what life outside of Bluebell was. I didn't have a role model, but now I know who I wanna be; A strong woman who isn't afraid to be a little crazy when it comes to love. Your father would be so proud to see how far you have come, Dr. Hart. Permalink: Your father would be so proud to see how far you have come, Dr. Hart.